TNEA 2019: Tamil Nadu Engineering Admission (TNEA) counselling is a process to enroll over 1.5 lakh engineering students every year through online counselling. TNEA will be conducted this year also, by Anna University for admission to undergraduate level engineering courses available at various engineering colleges of the state. No entrance exam will be held, so admission will be based on marks obtained by candidates in 10+2. The important dates of TNEA 2019 will include the entire schedule related to admission procedure for undergraduate level engineering courses. These are expecting dates based on previous year dates. We will update you with actual TNEA Admission Dates once it will be available. TNEA 2019 Registration Form will be available from 1st week of May and will last up to June in online mode. Candidates have to register first on the official portal. Submit the hard copy along with original documents for verification at TNEA Facilitation Centre (TFC). Click on “New User Registration link” on the official website. The application fee will be paid through online mode only. For General Category, it will be Rs.500/ (Rs.250/- for SC/ST/SA). Candidate passed 10+2 from Tamil Nadu can apply. Children of Central Government Employees and All India Service Tamil Nadu cadre officers can also apply. Candidate must pass 10+2/ equivalent exam from recognized board. All Branch 50% marks (45% for OBC, 40% for MBC/DNC/SC/ST/SCA) in PCM. 60% in PCM. Minimum of 50% marks is required in English in 10th or 12th for all candidates. The Rank List of TNEA will be purposed by the authority of Anna University. 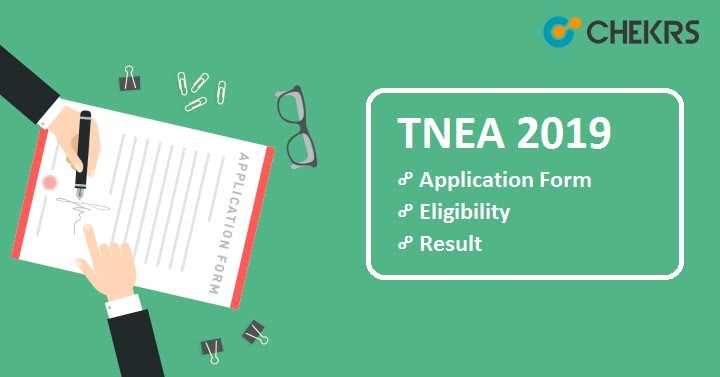 The TNEA 2019 Merit List will be available online in the month of June for those students who registered themselves successfully. For preparing the TNEA 2019 Rank List, total marks obtained by the student in 10+2 will be considered. Total marks will be reduced to 200 (Mathematics-100 & Physics+Chemistry-100) and then announce the result on the basis of it. Candidates can download TNEA 2019 Result from the official site of TNEA. The counselling process for TNEA 2019 will be done on the basis of rank list declared by the University. The Counselling will be started from July. 10th/12th mark sheet and Nativity Certificate only in electronic form/digitally signed e-certificate are required at the time of attending the TNEA 2019 Counseling. Candidates listed in the merit list will be called for counselling process. Candidate will have to pay the TNEA Counselling Fee Rs.5000/- (Rs.1000/- for reserved category) through cash or DD. Applicants must carry original documents at the time of counselling. For 12th appearing candidates, 10+2 admit card. Nativity Certificate only in electronic form/digitally signed e-certificate (if applicable). Document as proof of army or any government employee. Identity Proof like Aadhaar Card/Voter Id/Pan Card. All the eligible and qualified candidates will get admission in the preferred course after the counselling and seat allotment procedure, Seat will be allotted on the basis of Cut of rank, Their previous exam result and seat availability on the respective branch and university.